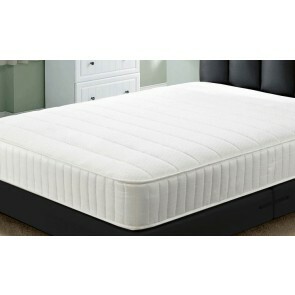 Is 25cm thick with a Cream luxury damask cover and a medium firmness rating. The Crystal has been one of our all time best sellers containing individual pocket springs that mould to the exact shape of your body’s contour. Offers comfortable support through the 1000 individual pocket springs that mould to the exact shape of your body contour to give you a plush and supportive feel. Finished in a luxurious in Crib 5 Cotton stripped Damask. Offers medium firmness support through the 1500 individual pocket springs that mould to the exact shape of your body contour to give you a sumptuous, supportive feel. Hand tufted to enhance support and durability. 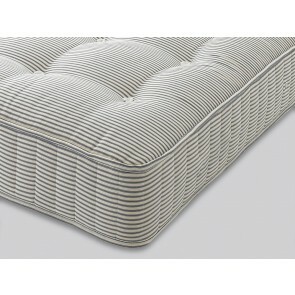 Is Upholstered in Cream hessian fabric with a Medium Firmness rating (6/10) and is 25cm deep. Constructed around a 1000 count pocket spring unit and with individual springs units contained within its own fabric nest.